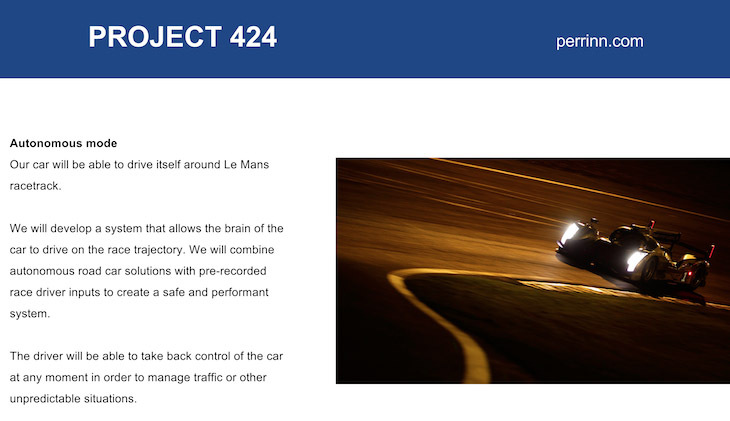 The FIA WEC in 2018 will not, after all, be seeing an entry featuring LMP1 L cars designed by Nicolas Perrin. 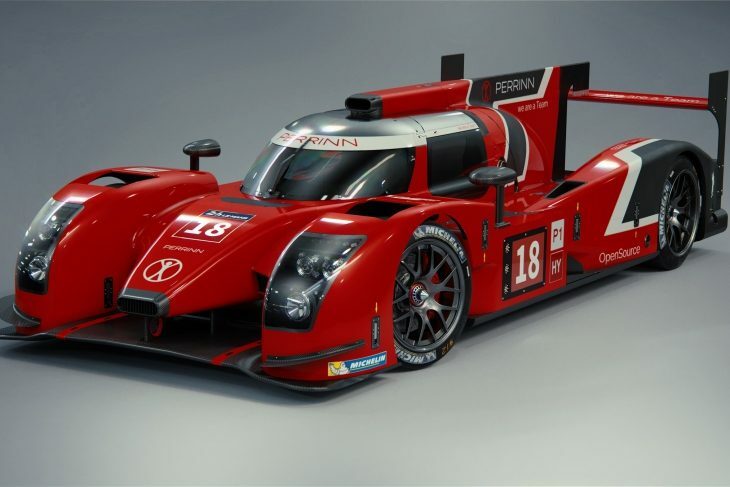 The effort planning to field a pair of Perrinn LMP1 cars in the 2018 FIA WEC announced earlier this year has not progressed beyond the initial contract stage with no other customers for the open-source designed LMP1 car being in immediate prospect. 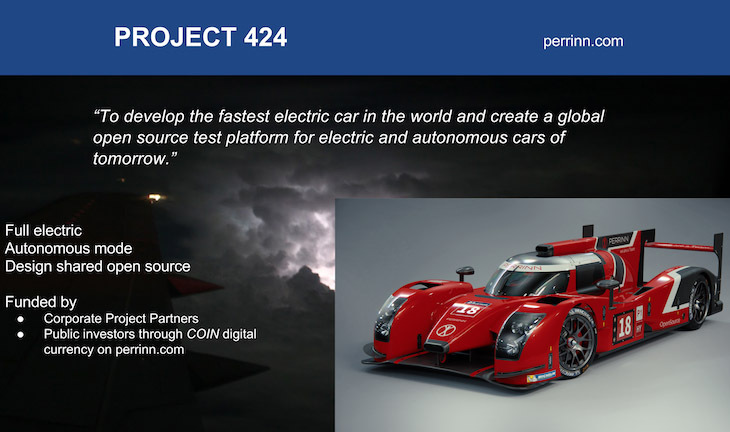 ART Racing Services, the company due to obtain the Perrinn 424 LMP1 cars, DSC understands, begun talks with alternative suppliers. 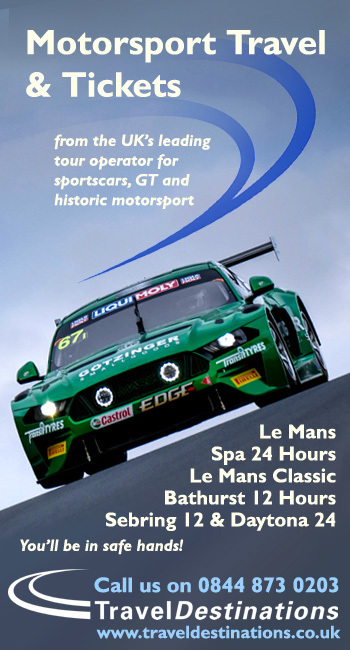 The initial plan was to brand the engines with Renault-owned Romanian based OEM Dacia, the driving force behind the effort being Romanian-based Dutchman Frank van Nunen, previously involved with the Kruse-Schiller LMP2 efforts in LMP2. 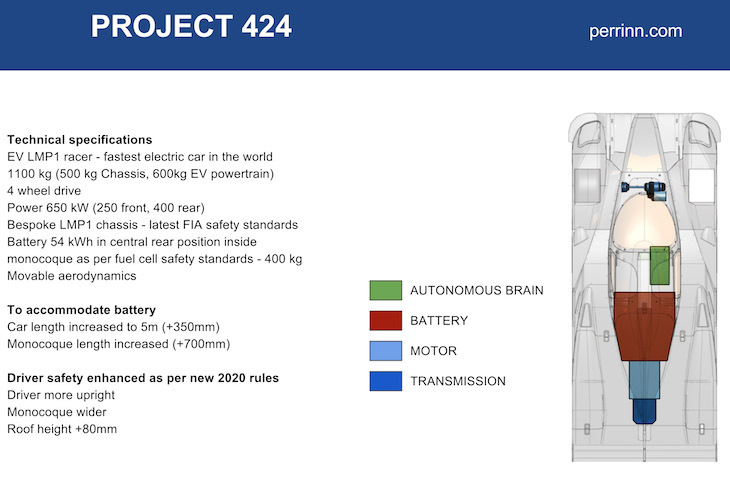 No deal with Dacia is understood to have been obtained to date. 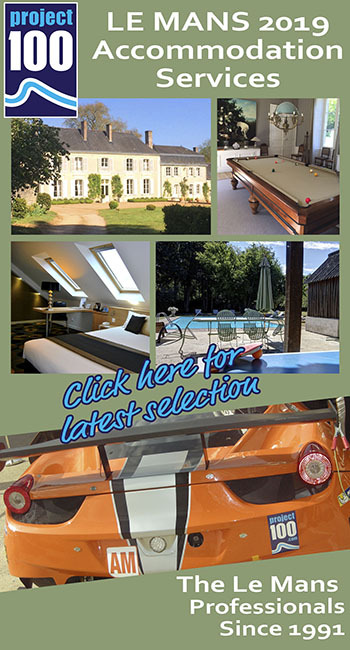 Some funding from the Romanian State and other public agencies was also envisaged together with additional title sponsorship being sought. Nicholas Perrin told DSC that, whilst costs had been incurred, and work started on the programme to build the cars, payment had not been received and the deadline to progress the project had now passed. 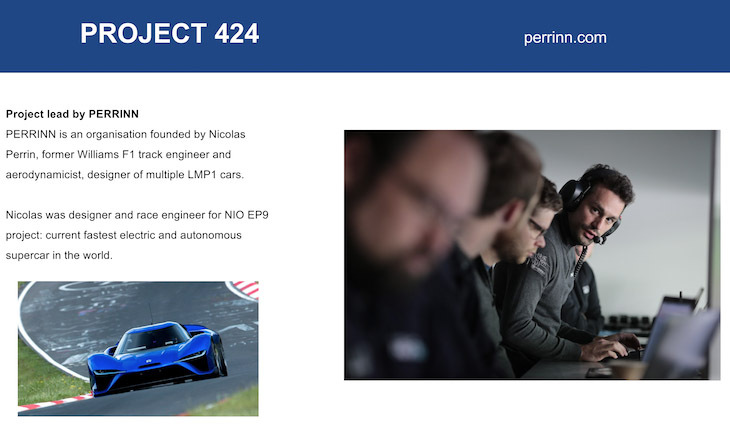 The first of those appears to be a radically revised version of the 424, now re-envisaged as a Garage 56 effort for 2019, an all electric, and partially autonomously piloted machine, Perrin previously acting as designer and engineer for the RML-built NIO EP9 all EV hypercar (below). 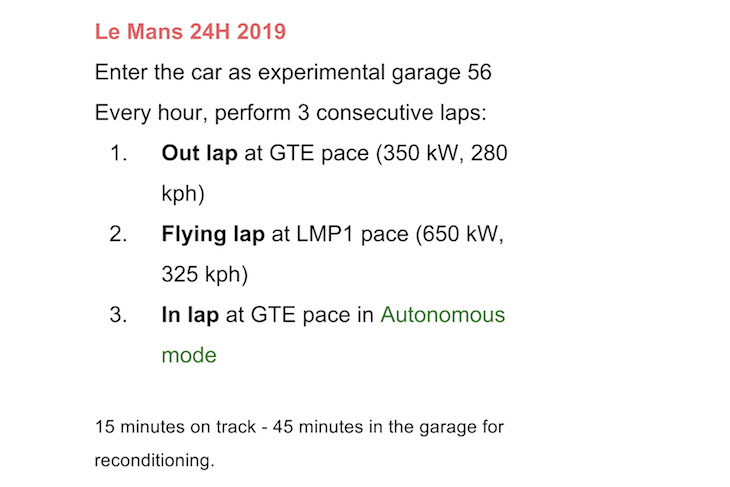 The Garage 56 idea seeks to combine full EV and autonomous vehicle guidance technology for competitive pace for, at present 15 minutes of every racing hour. 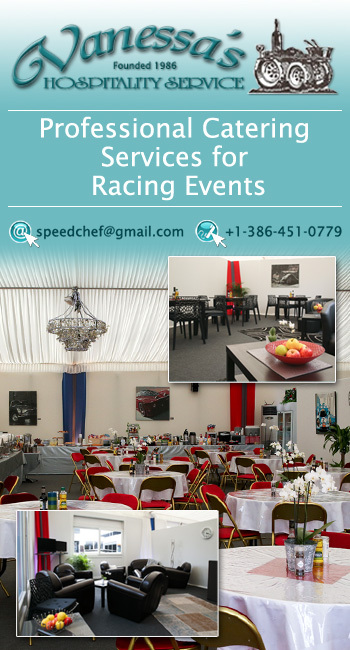 ART Racing Services, incorporated in the UK, is not in any way linked to French single-seater and ex-DTM outfit ART Grand Prix. Attempts to contact Frank van Nunen for comment last week were sadly unsuccessful.